Microsoft won’t sell its first flagship Windows 10 phone until at least this summer, but maybe we’ll hear about it sooner. AdDuplex, a company that serves cross-promotional ads on Windows 8 and Windows Phone apps, says it’s detected recent activity from a new Microsoft Lumia handset. Details are scarce, but the phone seems to have a 5.7-inch, 1080p display, and runs Windows 10 exclusively. Normally, we’d take this kind of report with a hefty grain of salt, but AdDuplex has proven capable of sniffing out unannounced Windows Phones in the past. In February, the firm detected several mid-range and low-end Lumia phones, which Microsoft officially announced within the following month. Microsoft has said that it won’t release a new flagship Lumia phone before the launch of Windows 10 this summer. The newly-detected handset could be the phone that Microsoft has in mind, or it could be something completely different. 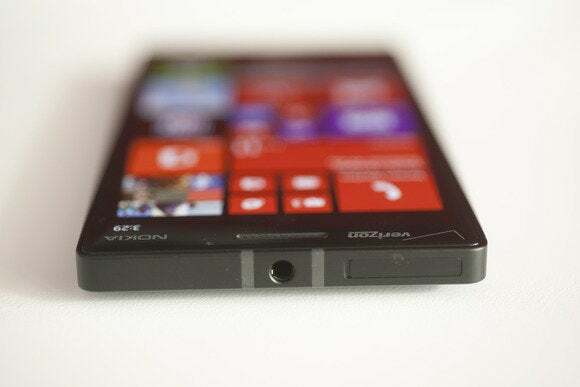 But with a large, 1080p display, it at least has a chance to be what Windows Phone fans have been waiting for. The story behind the story: Next week, Microsoft is holding its annual Build developers conference, and this year’s event is especially important as the company tries to rally app makers behind Windows 10. It wouldn’t be surprising if Microsoft gave a glimpse at a new Windows 10 smartphone—and maybe even let developers take one home with the Windows 10 Technical Preview on board.